Since 1983, Police has stood out as a fiercely unique and ultra fashionable eyewear brand with an underground and stylishly street feel. Police is an Italian brand with European sophistication that is inspired by both America's urban fashion trends and the American "on the road" spirit. This combination of Italian craftsmanship and American audacity has made Police popular with young, independent-minded trendsetters with a flair for the rebellious. Police VPL760 is a Full Rim frame for Women, which is made of Plastic. 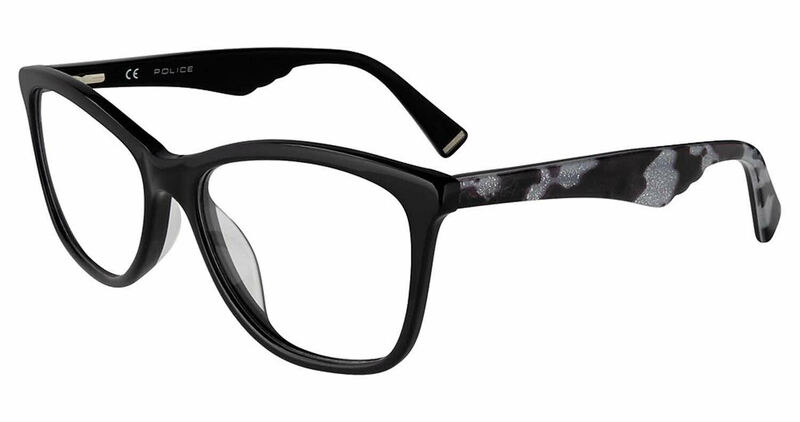 This model features a Cat-Eye shape, with a Saddle Bridge. Police VPL760 Eyeglasses come with a cleaning cloth and protective carrying case.